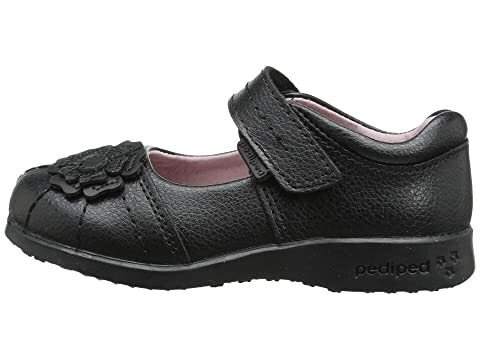 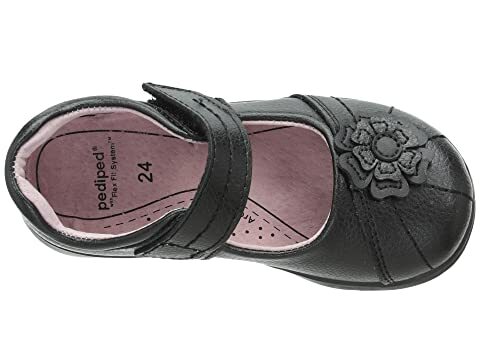 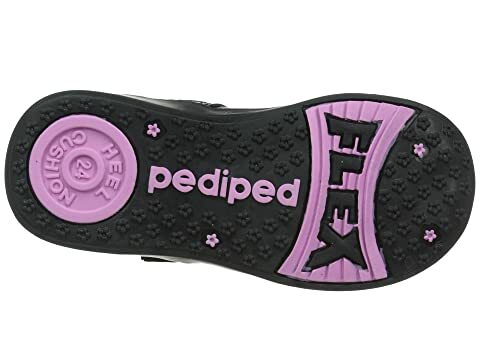 She can be the king of the mountain or the queen at the ball with these versatile mary janes from Pediped®. 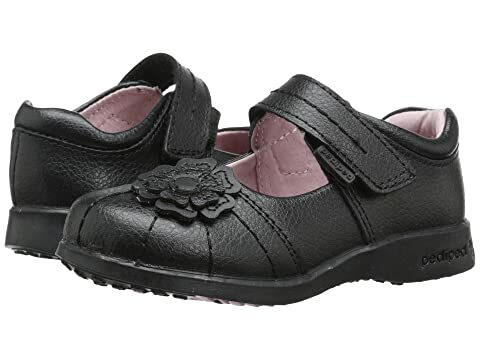 Leather pop up flower on toe. 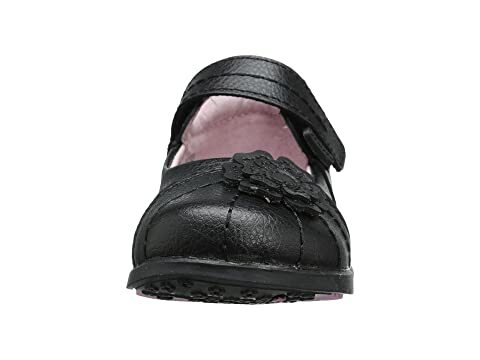 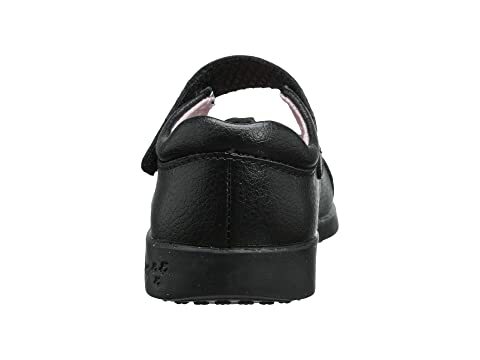 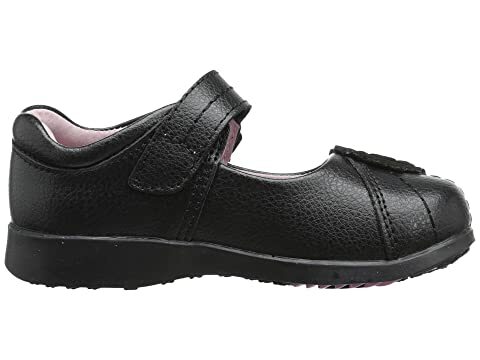 Lightweight rubber outsole for excellent flexibility.